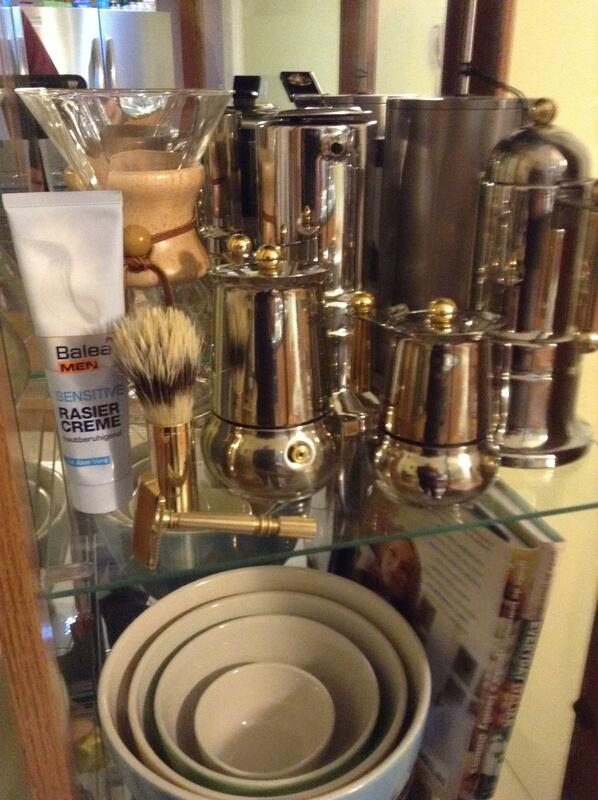 In one of my cupboards I have a Bialetti Moka Express, also known as a moka pot or caffettiera. 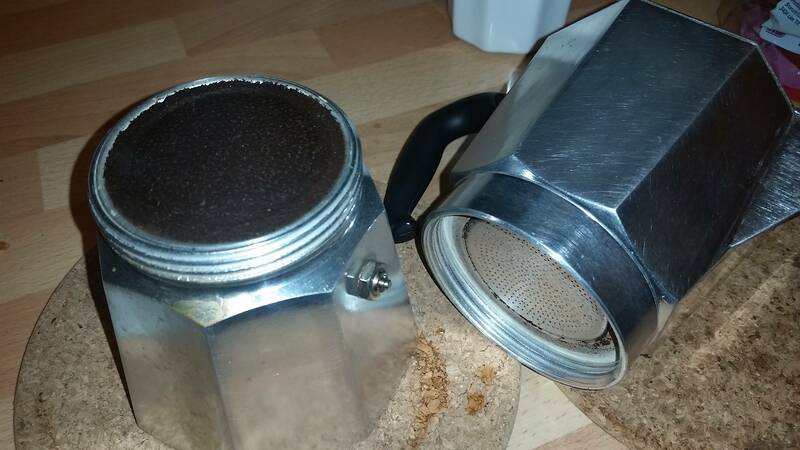 I don't use it often - it takes a while to do, and it only makes one cup at a time - but I take it out now and then and enjoys the distinct flavour it gives; similar to an espresso, but with no crema. Assembled on the burner.. waiting for the boil. One large cup of utter delight. Taking it apart before it cools off makes it much easier to separate the two halves. Great brewing method Hans. I reserve mine for the weekends but it has been a while. I use mine for camping. 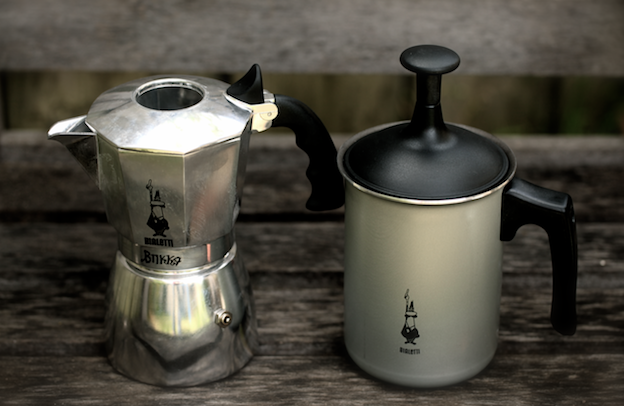 I love Moka pots! I have the 3, 6, and 12 cup versions [I have a coffee problem]. Another nickname is Vesuvio, based on the brewing style and the way the coffee flows on initial brew and after the volcano of course. Oh my I forgot about that. I have to dig mine out as well. It's a pain to clean and use but there is something pleasing about the process. Actually very different from a percolator. A percolator keeps passing the coffee through the grounds over and over again. It continues to brew long after the beans have been worn out. The resulting brew is often bitter. Percolated coffee is probably the worst kind of brewing possible. 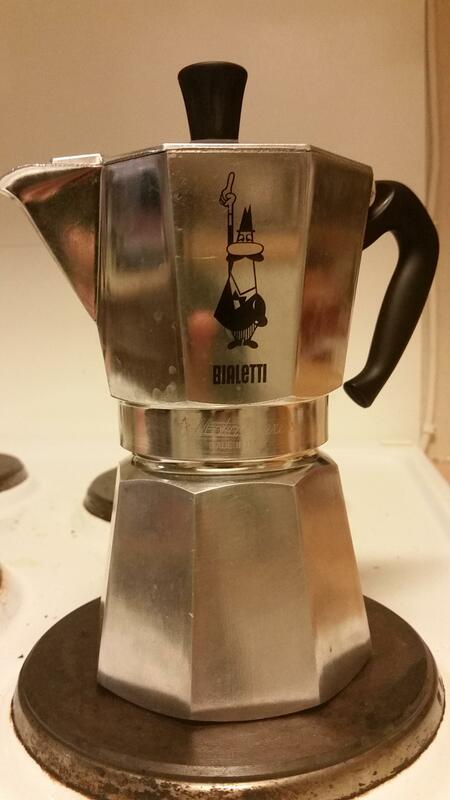 My inlaws have a moka. it doesn't do it for me. I sometimes get burnt-like taste from my Bialetti pot. I enjoy it occasionally when I need something tougher than my Aeropress. Good to have, but not essential in my books. I started watching Sopranos and there was a scene about these pots, which adds to the cool factor of it. 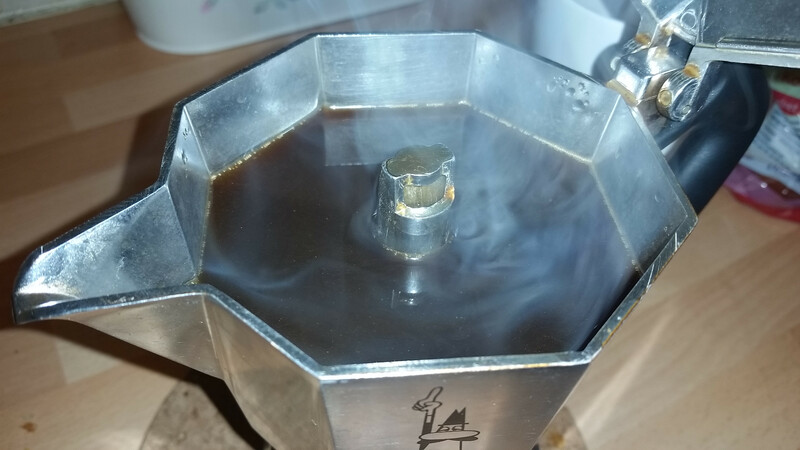 (01-10-2016, 10:52 AM)Aleksey Wrote: I sometimes get burnt-like taste from my Bialetti pot. I enjoy it occasionally when I need something tougher than my Aeropress. Good to have, but not essential in my books. I suspected leaving the pot on the stove more than It needs so I was practising it. Will do a through cleaning and check my beans if they shine. Thanks Barry! I will update my progression. I haven't used mine in a while. It looks just like the OP's. I need to break it out. I make Cuban style coffee, usually with Cafe Bustelo. What kind of coffee do you like in it? I picked one up from a local discount retailer. I love it. Used it during the weekend to make affogatos for the girlfriend and myself. So wonderful. A great old classic. Enjoy! I have a few of these in SS and in varying sizes. 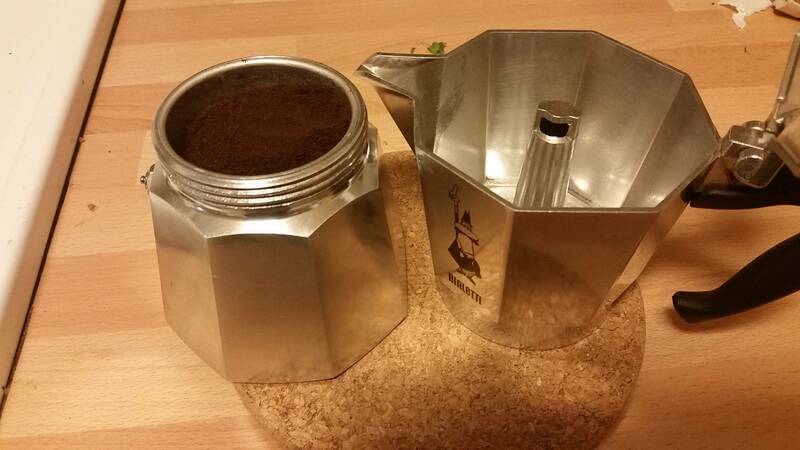 Make a great Americano with my Moka Pot a.k.a. stove top espresso. Play with the grind in order to dial in the ideal and don't overfill. No need to tamp just knock on table to settle. About an hour ago I was looking at one of these at our local Italian bakery. I was wondering how well it works, as I like strong, full-bodied coffee. I thought a Bodum French press would be the answer, but it really doesn't do it no matter what coffee I use or how carefully I grind the beans.